Click here to visit the Bass Pro Shop tab and like them. Then fill out the form to enter their sweepstakes. 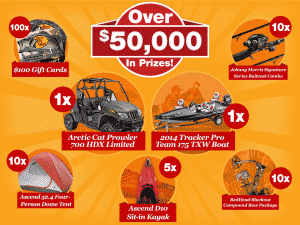 They’re giving away prizes ranging from $100 to over $15,000! Good luck!